Shell and tube heat exchangers have a great deal of flexibility in pressure and temperature ranges. As a result, they have many different applications across different industries. D.H. Griffin's plant decommissioning division is always busy scrapping facilities. This gives us a huge opportunity to collect and refurbish used shell and tube heat exchangers. 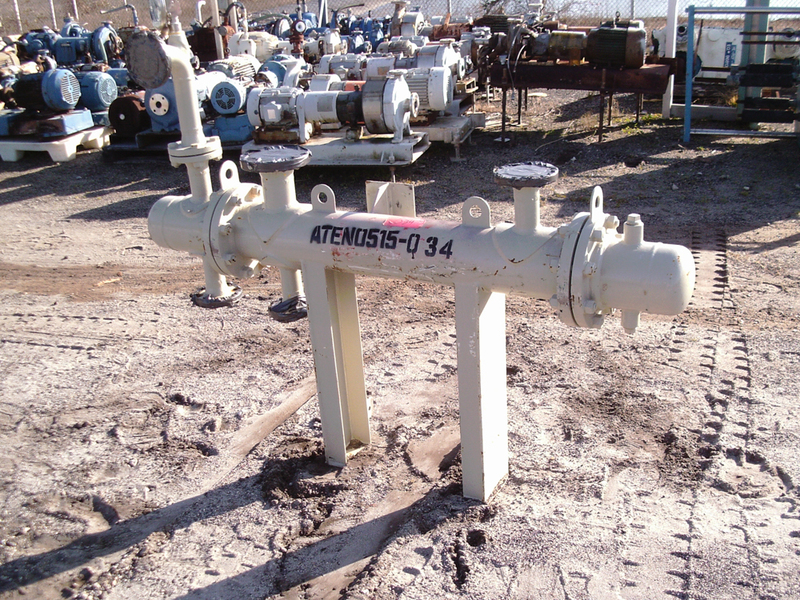 One of our most common shell and tube exchangers is the Atlas 21 sq. ft. If you're looking for one (or 10) of these, you've come to the right place. You can save boat loads of money by purchasing used shell and tube heat exchangers. Whether you’re heating pressurized water at a nuclear power plant, or cooling hydraulic fluids, we have a shell and tube heat exchanger for you.